Thanks to the development of different home designs, different configurations for roofs have been developed for residential properties. Some are considered timeless classics while others like flat roofing just recently became recent home design trends. Let’s take a look at the popular basic roof configurations that you can have in your home today. This type of roof’s defining characteristic is the triangular wall found at both ends of the roof. This two-planed roof design is easy to install and impressive to look at, especially if the gables are adorned with an attic window. The hip roof is known for having its side slope down to the home’s walls. Because of its design, a hipped roof often has a gentle slope and no vertical surface. Many classic homes with hipped roofs use shingle or tile roofing although metal roofing panels are also a popular option. Multi-slope roofs are some of the most visually interesting roofing configurations. Multi-slope roofs can further be divided into gambrel and mansard roofs. Gambrel roofs are basically gabled roofs except with two different slopes per side while mansard roofs are multi-sloped versions of hipped roofs. Flat roofing was mainly a commercial roofing configuration back in the day, but changes in material manufacturing and evolving building design trends have also made them popular among some homeowners. Unlike sloped roofing configurations, a flat roof doesn’t use “classic” materials like shingle roofing. Instead, it uses layers of rubber or synthetic polymers as its main roof material. Let us help you pick a roofing configuration that will best suit your property. 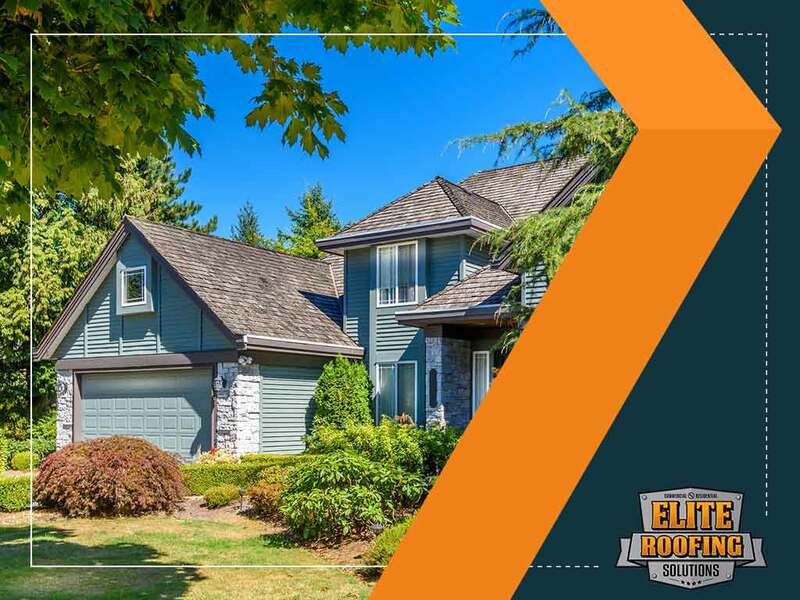 Elite Roofing Solutions is the number one roofing contractor in The Woodlands and other areas in Texas. You can call us at (855) 588-6610 or fill out this online form to request a free quote.